It's May and I think it's ok to celebrate mamas all month long! 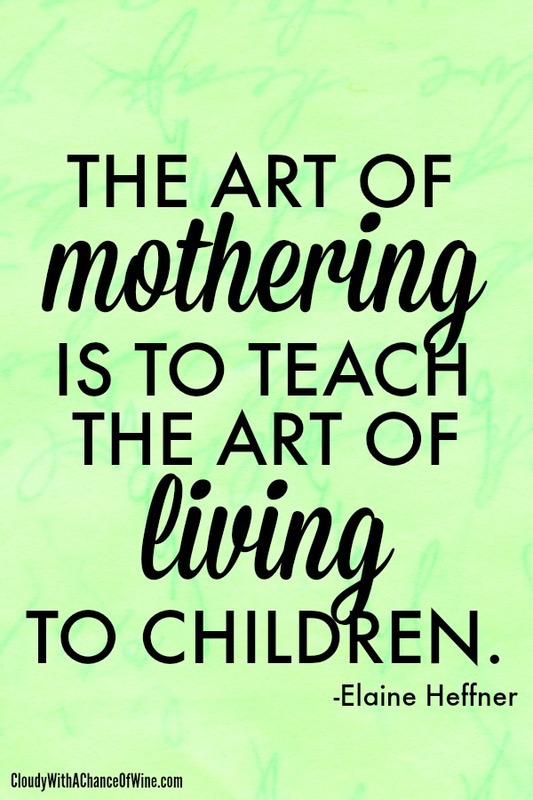 Being a mom is one of the sweetest gifts to be given. But we also know there are weary days, sleepless nights and many constant demands of us. This month is a chance for us to celebrate motherhood in many special ways! 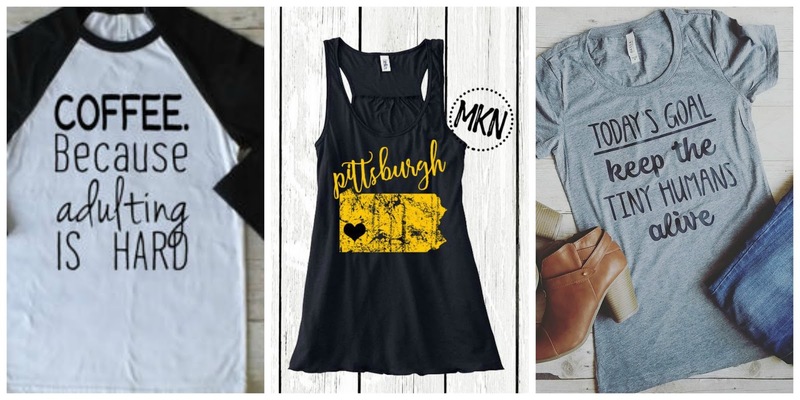 MKN Apparel is giving a $25 gift card to their online store! 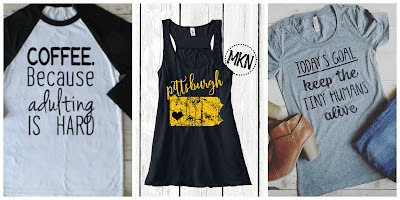 We love that MKN Apparel is our shop of choice to print our Pgh Momtourage t-shirts! 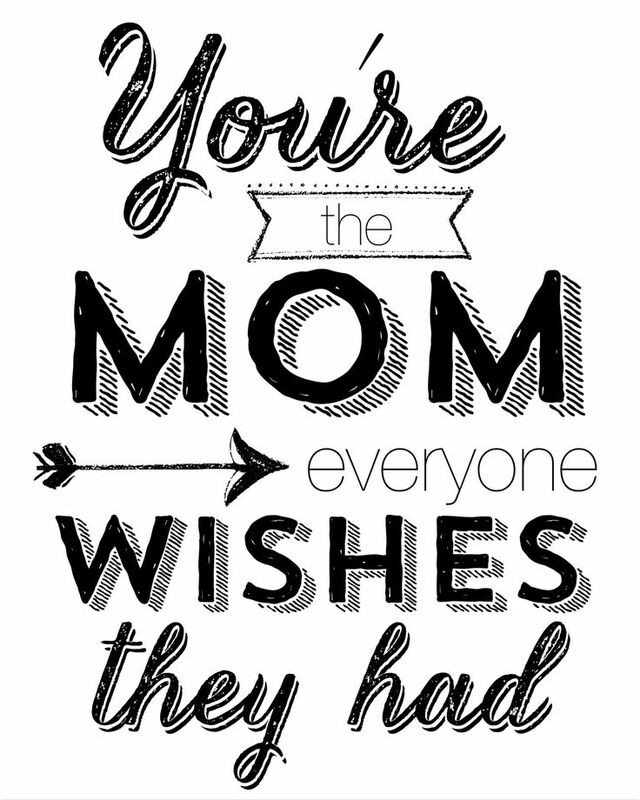 This fun design was created by one of our very own Momtourage mamas. If you join us at our Momtourage playdates, look for our group in the teal shirts! You can also order your own Momtourage tshirt here. Levana Bratique is a woman owned and operated business. They are the only independently owned store of it's kind in the greater Pittsburgh area! Owner Judy Masucci says, Great bras are my passion! After spending 9+ years helping nursing moms to find great bras, I decided to close my maternity business and open a business where I can help all women to find great bras! I have been an entrepreneur since 2007 when I opened my first business, A Mother's Boutique®. This business started out as a nursingwear shop and gradually morphed into the largest selection of nursing bras in the greater Pittsburgh area. As time went on, I decided I wanted to help all women, not just new moms, to find great bras. From this desire, Levana Bratique was born. Levana Bratique will be giving a $50 gift card to their store to one lucky mama! Who doesn't love a trip making wish lists and wandering the winding aisles of Ikea? ☺ (I know this mama does!) Amazing eye-catching products at great prices, a kid's drop off play area, kids eat free Tuesdays + more! 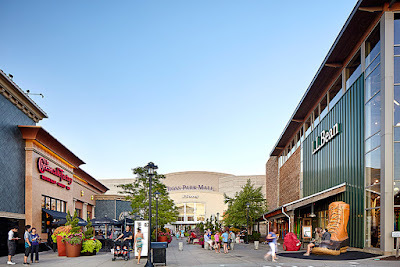 My hubby and I have definitely taken advantage of dropping our kids at their fun Smaland and having some uninterrupted shopping time together. Are you looking for a part-time job? Did you know IKEA is a great option for moms? If you work at least 20 hours you get paid vacation and sick days. There are also benefits to work nights and weekends and after 3 years, maternity leave is covered 100%. 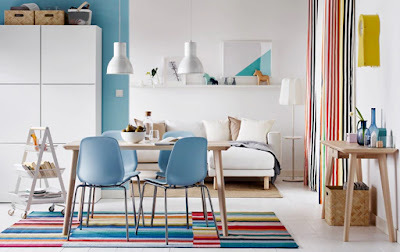 IKEA is generously giving you the chance for a $100 shopping spree....I'm sure you'll have a hard time choosing what to buy! Another favorite stopping point for many is the Ross Park Mall. They are anchored by 4 major department stores, but have 170 specialty shops as well. Some of my favorites there include JCrew, H&M, Crate & Barrel, Francesca's, GAP, Apple, Sephora + many more! They also have a great kid's play area for those days you can't get outside. There are multiple options in the food court, including the newly added Panera. The Cheesecake Factory is an added bonus for a sweet treat! One mama is going to have a great time spending $100 on herself with a fun shopping spree! Project OM. Join the Movement. Ross Park Mall is proud to support Manduka and Susan G. Komen on project: OM, a yoga class of one million to battle breast cancer. Donate $10 to Susan G. Komen and receive a FREE yoga class plus a discount card offering 25% off participating retailers. 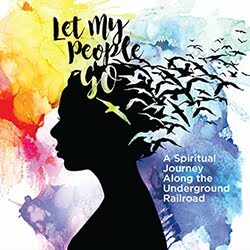 Make your donation and sign up for a class by visiting https://bddy.me/xxxxxx. You can also sign up for a free class at South Hills Village here. Enter to win one of these 4 great prizes at link below! Thank you to MKN Apparel, Levana Bratique, Ikea and Ross Park Mall for showing their appreciation for moms in this special giveaway! Favorite thing about being a mom is that My children are happy and healthy. There will be no greater accomplishment in my life than my children! Watching my girl learn new things! My favorite thing about being a mom is when I get little glimpses into the person my daughter is turning into. When I see that she's kind, smart, helpful, etc. it's such a great feeling. And I love when I see that things I'm teaching her are becoming how she thinks about and sees the world, especially when it's things I know I'm making a conscious effort to be a certain way about, like body image. My favorite thing about being a mom is the love they have and doing things together as a family. I love seeing how happy the kids are. My favorite thing about being a mom is hearing the funny & crazy things that come out of their mouths!! The unconditional love--both that I receive but also that I've learned to give thanks to my children. Watching them grow and learn so quickly... and being amazed that they were once little bean-sized beings in my belly! My favorite thing about being a mom is the little moments...reading books together, snuggling under a blanket while we watch his shows and the sweet hugs. The dance parties with my 1 year old. My favorite thing about being a mom is watching my son grow (way too fast!) and learn new things and get excited about becoming more independent, even if he is only 1 1/2. Watching my girls grow and develop new personality traits. Watching them learn something new or achieve a goal! Pretty much all of it! My favorite thing about being a mom is that my kids love me unconditionally. The little hugs, smiles, giggles, etc., make me melt! My favorite thing about being a mom is when they run to me for hugs, kisses, and cuddles. Today is my oldest's 28th birthday. Momlife never ceases: it just changes shape and design. After 4 kids grown to adulthood, what I've learned is that it's okay to loosen my grasp on them, to let them fly. They come home. Thank, Kelly, for being a safe and healthy place for all these moms to learn these important lessons together. My favorite thing about being a mom is seeing the world through little eyes and watching their personalities develop! I love seeing the love and bond that develops between siblings. And the sweet kisses! My favorite thing about being a mom is watching my girls grow and learn. I like to see my kids accomplish their goals. Love the giggles of pure joy! I'm not a mom but my favorite thing would be watching my children grow up. My favorite thing about being a mom is watching my daughter grow and learn. thank you for exciting giveaways!my favorite thing about being a mom is that i get to be a kid again and do fun things around town with them! The best thing about being a mom is knowing what it feels like to love completely and unconditionally. Watching and helping my son grow every single day. Watching things "click" with them after trying and trying again. I love watching them grow and how their personalities and interests develop. I feel so blessed to be a mom of 4 amazing children. Love being a mommy because I feel it's such a privledge and joy to watch my kids grow and to help mold them into who God created them to be. It's fun watching life Through their eyes. Lots of laughter too! My favorite thing about being a mom is loving on and living with these little souls as they grow and figure out life. What a gift to be able to guide their way! I love getting to do fun kid things again and watching them learn and master new things. Love watching them grow and learning along with them. My favorite thing about being a mom is seeing how excited my son is ALL THE TIME. He's happy in the morning, happy at bedtime, happy at bath time..makes me feel like I'm doing something right! I love watching my children grow everyday. the excitement of watching them hit there milestones in life! The cuddles and I love yous! I love being able to experience new things with my children! Morning and evening cuddles with my baby! My favorite thing about being a Mom is how happy my children make me. They see the world totally differently than I do and it's wonderful. Laughter is my favorite part of being a mom, closely followed by smiles. Watching my two toddlers boys thoroughly enjoy the world I brought them into is the best. The best is watching the candid moments they enjoy. My favorite thing about being a mom is seeing new and old things through my daughter's eyes! We recently found out we can't have more children, so I'm even more grateful for the gift and blessing of being a mama! I love her more than anything! My favorite thing about being a mom is listening to my kids laugh when they are all together. Watching them be kind to others and now waiting for my first grandbaby! The best thing about being a mom is raising children that I'm proud of.